Alternative Sentencing & Arrest Programs, Inc.
"THE OFFENDER PAYS, NOT YOU"
ASAP is a privately owned and operated company that specializes in alternative sentencing concepts. ASAP, Inc. provides many innovative alternatives to incarceration. 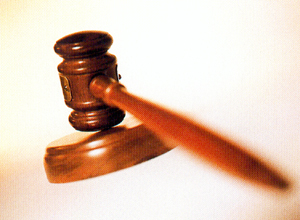 ASAP has been offering programs since 1998 in the Hancock county court system. We now offer our services in Jackson County and Harrison County. The goal of ASAP is to offer the criminal justice system practical alternatives that will hold offenders accountable for their criminal behavior while reducing the cost that is passed along to the taxpayers. Incarceration is very costly to taxpayers, ranging from as high as $35.00 a day in some jurisdictions. When an offender is in jail he is unable to pay fines, restitution, or support his family and this again puts the burden on the shoulders of the taxpayers. With our program the bottom line is "the offender pays, not you."